Summer time can bring idle days. Those can be the best, but sometimes I use crafts to occupy my children’s minds and guide their creativity. 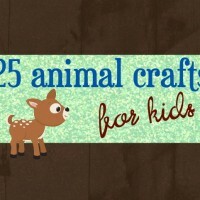 This Animal Craft is perfect! 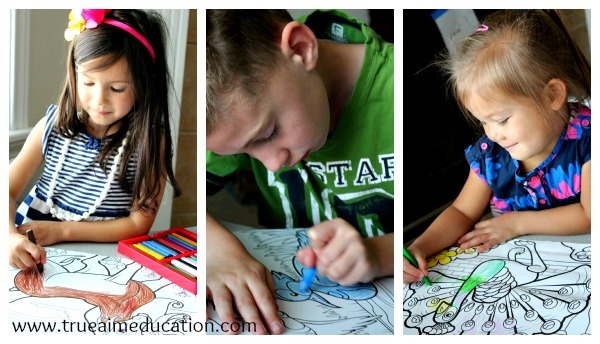 Your children can work together and independently. Spread it out over a few days to practice diligence and make the fun last. 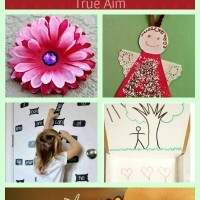 My favorite thing about this craft is that it’s perfect for different ages. 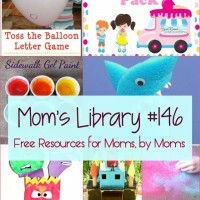 I had children ages 3-8 working on this with vigor! They wanted to add more animals to it each day, until it was jam packed. Here’s how we did it. 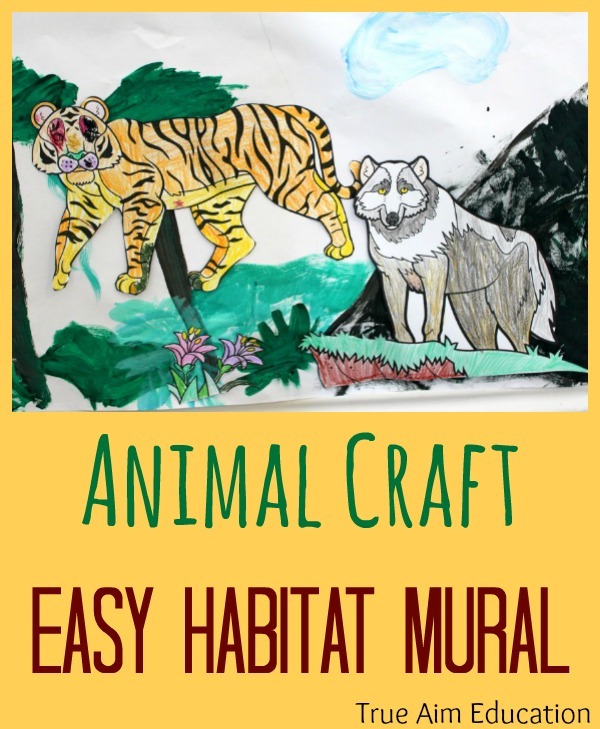 First, I talked to the children about our project and reviewed the different habitats where animals live. 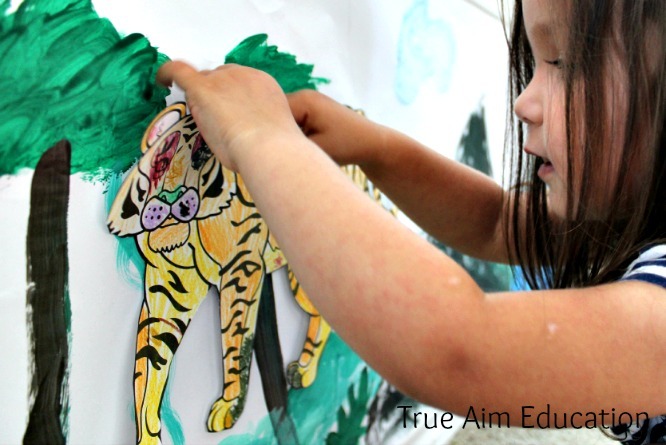 Next, I handed out Animal Coloring Pages to the kids and told them to do their best coloring job. They really got to work! The following day we worked on making a background. I separated a long piece of paper into 4 parts with a pencil. We sat at a long table and each child worked on a different habitat. 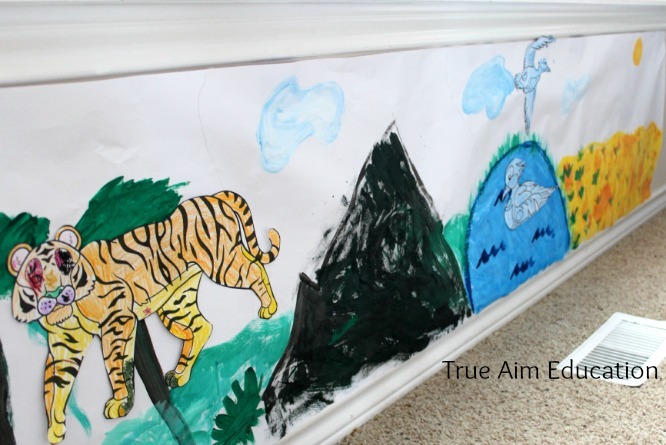 We painted a jungle, a mountain, water, and a grass land. 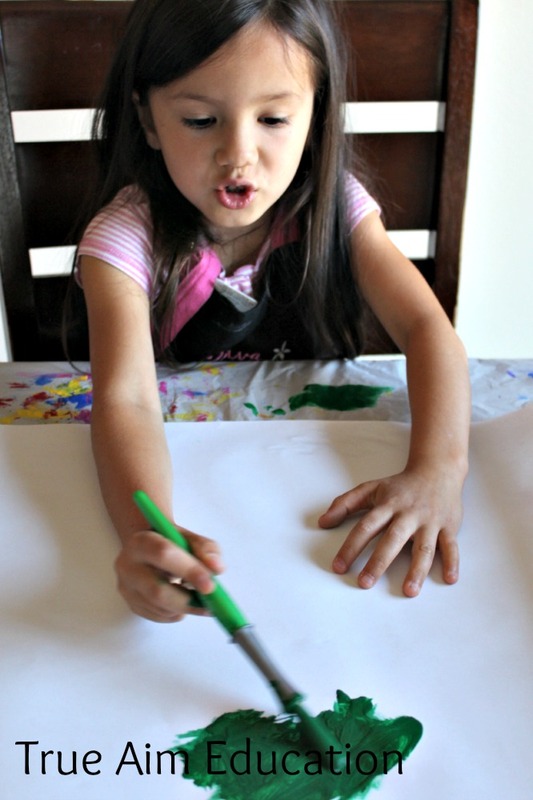 Of course, you could use any supplies you have on hand to make your background: like paper and glue, markers, pencils, or even crayons. As we created our habitats, I asked the kids where they thought their animal lived. They were stumped on a few, like the peacock, so we looked them up online. It was a great learning opportunity. 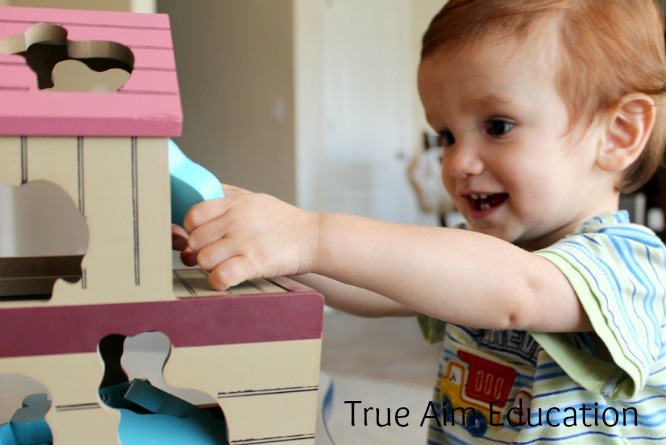 Meanwhile, my toddler worked on his favorite animal activity – his Noah’s Ark Puzzle Boat. He loved taking the animals in and out of the boat and practicing his animal sounds! Finally, when everything was dry I posted our habitats to the wall. We cut out our animals and gave them a home. Here’s what the whole thing looked like. We continued to add animals throughout the week. I was so proud to display it on the wall. 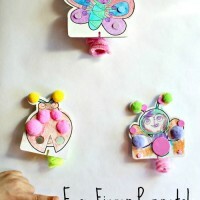 Easy Crafts for Kids: DIY Finger Puppets with Pom Tree Kids & Giveaway! « Bible Resources: See The Light Bible Story Art for Kids! I love this mural idea! My son is in 1st grade and we have been talking about animal habitats. I am going to do this and have him add a new animal or habitat everyday. Thanks for the idea!